From 2015 forward, many cloud services winners will drive growth by mastering the art of XaaS distribution. What do I mean by XaaS distribution? 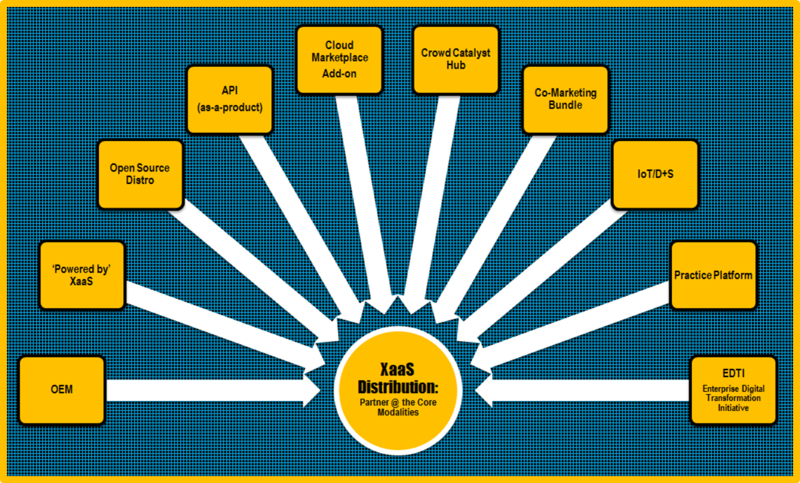 XaaS distribution (vs direct-to-customer SaaS) is about “Partner @ the Core” mindset. When your startup executes around Partner @ the Core mindset, your anything-as-a-service (XaaS) innovation gets baked in-or symbiotically attached—to upstream partner apps, clouds, networks, systems and experiences—amplifying your reach and accelerating your momentum, while reducing your marketing/sales spend. Partner @ the Core mindset is much different than a “Partner @ the Edge” channel mindset. Here’s how. Historically—-if you were setting out to build a tech company—as distinct from a B2C or B2B company that uses tech—growth marketers often saw distribution channels as something that functioned “at the edge” of their product—i.e. retailers, VARs, integrators, affiliates. This is what I mean by Partner @ the Edge. And this model continues to evolve as even cloud superpowers like AWS invest in building out partner networks of cloud consultants. But from the standpoint of a holistic growth marketing approach for startups, there’s more to the age of cloud than ‘@ the edge’ channel partnerships or direct-to-customer programs and practices. Much more. Cloud in 2015 is increasingly about plug & play ‘new stack’ & native microservices architectures—-what some have described as a ‘composable’ enterprise vision. And in this new stack or composable enterprise context, a stickier set of monetizable partnering options is consistently available to XaaS innovators—-if and when they focus their biz dev and marketing efforts….”@ the core” of their prospective partner’s business. Time and again, history has proven this to be true—across hundreds of categories and successive generations of tech industry evolution—as the biggest and most long-term platform winners often begin life as “ingredient” players—providing value inside of or symbiotically attached to the products and services of incumbent vendors. Fast forward to today’s anything-as-a-service innovation wave and we can see the potential of this very same Partner @ the Core growth pattern. The XaaS Economy is exploding. “Point XaaS” offerings from cloud innovators are enabling growth marketers to leverage “Partner @ the Core” distribution approaches. Fueled by the mainstreaming of cloud first, mobile first, API first digital industrialization, ‘point XaaS’ innovators (E.G. ‘security as a service’ or ‘analytics as a service’ or ‘file-sharing as a service’ etc.) are increasingly entering into partner deals and relationships in which they get plugged in to the architectures, roadmaps, agendas and value propositions of cloud and enterprise superpowers. This is the practical essence of what I mean by the term “Partner @ the Core”—sticky partnering at the very heart of an incumbent leader’s established center of market gravity—i.e. their product set, installed base of customers, and established developer ecosystems. Partner @ the Core mindset enables innovators to execute around multiple modalities of XaaS distribution. These modalities can be flexibly implemented—and can be mixed, matched and morphed by streetsmart CEOs and their BizDevOps and partner marketing teams to create virtually non-duplicatable distribution advantages. Here are 10 reference Partner @ the Core modalities. 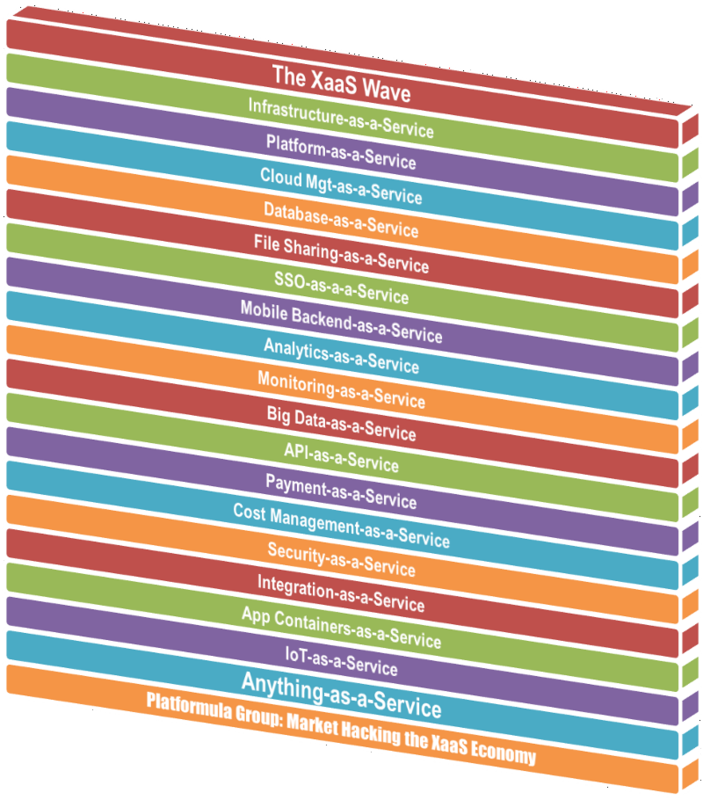 Above are 10 common modalities by which anything-as-a-service (XaaS) innovators implement a sticky Partner @ the Core distribution model in the age of cloud. This is the upstream Partner @ the Core model that drove the emergence of Microsoft the PC empire—beginning with its MS DOS agreement with IBM. While I refer to it as ‘classic Coke’, the OEM flavor of a Partner @ the Core model is alive and well in the XaaS economy and driving growth for new breed ISVs that focus on executing this model with upstream partners. Take Tableau Software for instance, now a publicly traded market leader in visual analytics-as-a-service. 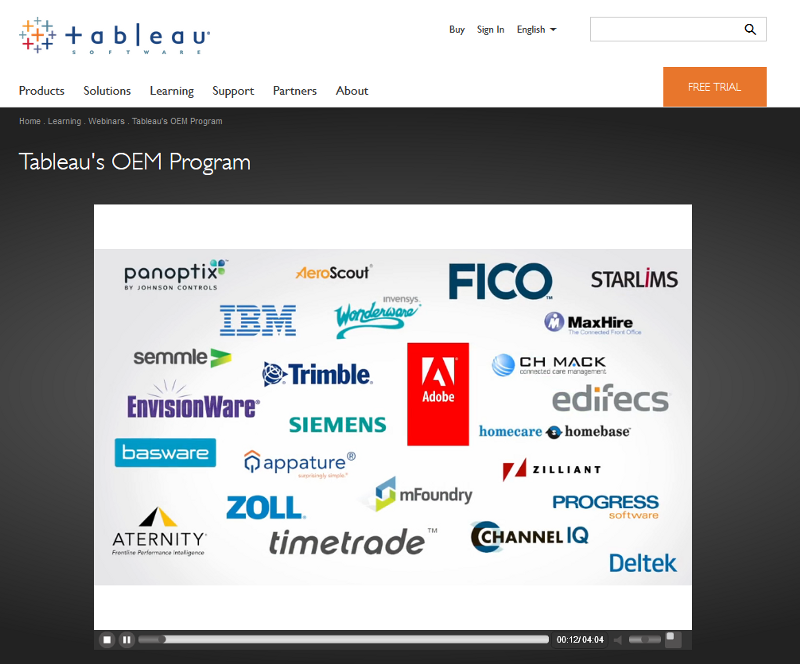 From its startup days Tableau Software wisely established OEM relationships with partners—including SaaS players—-and as early as 2009 formally established an OEM program to operationalize this Partner @ the Core approach. This lesson should not be lost on today’s innovators across hundreds of point XaaS categories. If you want to lay the foundation for solid growth, then excel at monetizing your value prop as an OEM ingredient inside the products (and ecosystems) of upstream partners. This is the Partner @ the Core approach that drove the rise of the cross-category superpower named Google. In their startup phase, Google’s search functionality got baked in to Yahoo, Netscape, AOL, Lycos and other portal market leaders of the day (as well as broadband ISPs & Telcos), laying the foundation for their growth, ubiquity and emergence as a software superpower. In 2014, a great example of this form of XaaS distribution would be Apigee’s high profile private label partner deal with enterprise superpower SAP. SAP has a large global installed base of customers and an in-place partner ecosystem, and will magnify Apigee’s market reach and multiply Apigee’s revenue. And Apigee’s API management platform will be tightly coupled with SAP’s high profile HANA in-memory cloud platform. For SaaS startups with a high burn rate driven by their direct sales and marketing spend, the private label or ‘powered by’ XaaS distribution model represents both a way to scale (at lower cost) and/or a way to avoid ‘vaporization’ when the investment climate is less favorable. This is the Partner @ the Core approach that made RedHat a nearly $2 billion revenue run rate Linux superpower and a pacesetter in the Open Source 2.0 model I describe as COSA—an acronym for ‘commercial open source alliance’. Open source 2.0 is characterized by the emergence and growth of commercial open source alliances (COSA). These COSA communities serve as deal gateways for startups with Partner @ the Core mindset. In 2014, COSA communities are exploding in popularity led by cloud initiatives like OpenStack which provide tremendous marketing and partnering opportunities for XaaS innovators to collaborate with incumbent market leaders. The newest example of COSA-advantaged momentum is the Docker initiative. When the DotCloud PaaS team re-invented itself as a container-as-a-service player called Docker, some VCs on their board at first opposed their upstream pivot. But soon after, their Partner @ the Core deal with the RedHat OpenShift group validated their new approach—-followed by sticky alliances with Microsoft, IBM, AWS and others—and new offerings, e.g. Docker Orchestration Services. The lesson. COSA is not your father’s open source movement. COSA is not simply about the ‘democratization’ of software. Today’s Commercial Open Source Alliance communities are Partner @ the Core gateways for XaaS innovators to monetize their innovation in a new stack world. This is the Partner @ the Core modality that drove the rise of McAfee and Symantec/Norton in the Windows PC anti-virus category. Today, the co-marketing bundle is surging in popularity as mechanism of growth for startups that seek to partner with incumbents. This model can be flexibly applied across many categories. Here’s two popular applications. For a reference example here, look no further than Lookout Security’s mobile device protection partnering deals with leading carriers around the world, from AT&T to Deutsche Telekom. For XaaS innovators seeking to partner with public cloud superpowers, pay attention to Apprenda’s partnership with Microsoft’s Azure LOB or the Dropbox partnership with Microsoft in file-sharing as a service. And even if the co-marketing deal is seasonal or time-bounded, the alpha partner “DNA inheritance” you will receive from it will get you on the radar of other alpha players for follow-on alliances. Cloud marketplaces of XaaS add-ons and plug-ins are powerful upstream distribution venues for both startups and growth players. ‘Quality of Marketplace’ or QOM is a competitive differentiator among cloud superpowers like AWS, Google, Microsoft, HP, IBM, Rackspace & others. 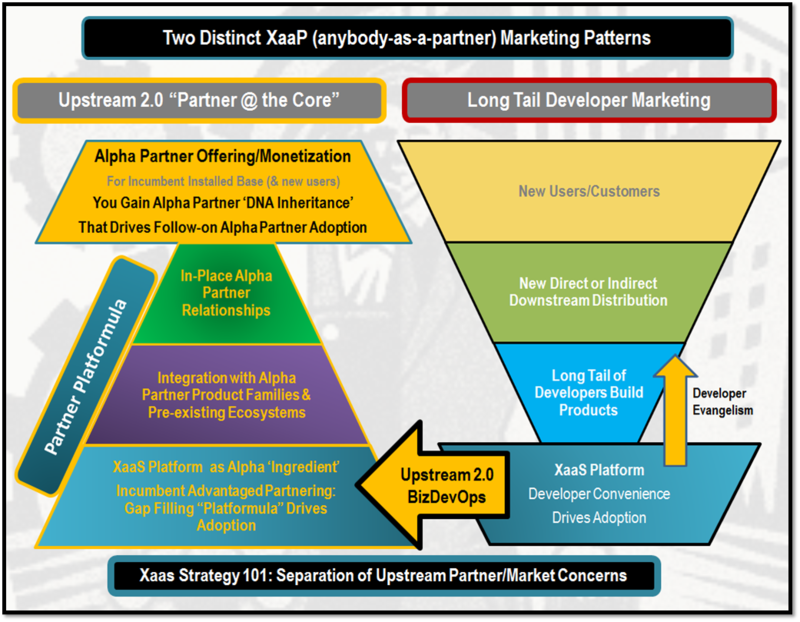 At its core, the plug & play XaaS economy is truly the age of ‘anybody as a partner’ (XaaP). Nowhere is this more evident than in the rise of cloud marketplaces packed with IaaS/PaaS/SaaS plug-ins, add-ons, and point XaaS ingredients. This marketplace model was pioneered by Salesforce in its AppExchange and now ‘quality of marketplace’ (QOM) is an important differentiator for cloud superpowers as they compete head to head with each other. For example, cloud marketplace leader AWS now provides 2000 plus titles in its Marketplace service catalog, and supports products that are available as either AMIs (Amazon Machine Images) or ‘as a service’ offerings. As we enter 2015, AWS Marketplace products are available from both startups and established enterprise ISVs. For the purpose of this post, let’s call out cost management-as-a-service startup Cloudability. Providing a strong value-add to the AWS pay-for-use model, Cloudability enables “all in” cloud enterprises like GE to more efficiently control their AWS spend. The lesson. For startups seeking to capitalize on the centers of market gravity of established players and gain access to their installed base of customers—marketplace participation is a must-have component of a Partner @ the Core XaaS distribution strategy. In the XaaS economy, the API has become an increasingly popular form of “as a service” productization, and has driven an upsurge in self-service marketing to the long tail of app and cloud developers. But as we enter 2015 a growing number of upstream partner-focused startups are diversifying beyond pure-play ‘one size fits all’ long tail developer marketing—and embracing a “separation of partner/market concerns” segmentation approach. Developer marketing to the ‘long tail’ of unknown developers is one distinct partner pattern in the XaaS economy. Another emerging pattern is to target specific centers of market gravity—E.G. the installed customer base and ecosystem of an established alpha vendor—with an API-as-a-product. This approach enables a startup executing a Partner @ the Core XaaS distribution strategy to gain strong validation & ‘DNA inheritance’ from their first alpha partner that enables them to attract new alpha partners via Upstream 2.0 BizDevOps. This is taking the form of startups that systematically position their api-as-a-product as a critical success ingredient within highly targeted centers of market gravity. 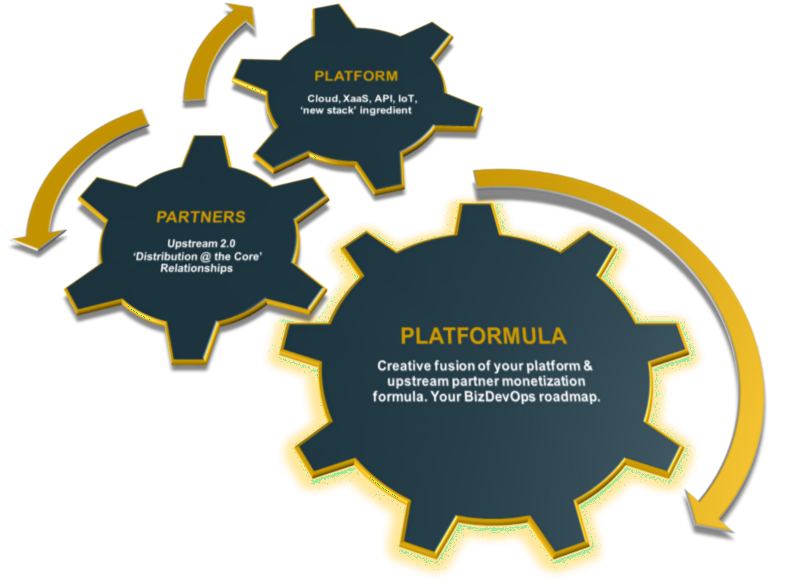 This approach provides a strong foundation for Partner @ the Core leverage within established vendor customer bases and ecosystems. It’s asymmetric marketing for the age of cloud. One of my favorite examples of this is Elastic Path for Adobe Marketing Cloud—a XaaS commerce offering. Elastic Path for Adobe Marketing Cloud is all about Partner @ the Core mindset applied to Adobe’s fast growing ‘marketing cloud’ business—an offering Forrester has documented as a leader in the high growth digital marketing platforms segment. Ten out of ten analysts agree. The ‘device + services’ innovation wave commonly described as the Internet of Things (IoT) is happening now. And what’s clear is that as exciting as the thoughtful ‘things’ are—from smart wearables to connected cars—the ‘internet’ or XaaS part of it may even more so. And the IoT and integrated Device + Service markets are perfect landscapes for a new breed XaaS innovator to execute a Partner @ the Core strategy. A good example of XaaS distribution best practices can be seen in Kinvey’s deal to provide a mobile backend-as-a-service (BaaS) platform to Schneider Electric—an energy management and smart grid leader. This kind of Partner @ the Core relationship approach is increasingly a best practice of IoT platform innovators, from Kii to Machine Shop to Xively. As 2015 plays out, I expect to see many more XaaS startups focused on discrete segments of the Internet of Things technology wave. As I point out in my introduction above, startup CEOs and their growth marketing teams can mix, match and morph their distribution best practices to create virtually non-duplicatible advantages. Nowhere is this more evident than in the crowd/catalyst hub flavor of XaaS distribution. While XaaS distribution modalities 1 through 7 directly capitalize on the strategic asymmetry of partners with established ecosystems, the crowd catalyst hub presents as a converged approach—a creative fusion of application/infrastructure functionality with a community/marketplace creation model. Here are some representative examples of tech players building out their own unique instantiations of the crowd catalyst hub approach. Spiceworks IT Community: Spiceworks catalyzed a 6 million member community of IT professionals in the Windows, Mac & Linux ecosystems—-and the many other tech brands that power them—-via its innovative free set of IT tools. Spiceworks initially monetized its free app model via tech vendor advertising and is now also diversifying into an apps marketplace for its members. Mashape API Marketplace: Mashape is a 2-sided developer hub that enables API providers to host and distribute their APIs—and monetize them with app builders. It provides a rich mix of free, freemium and paid monetization models as well as the full spectrum of API management capabilities expected by API providers. Pager Duty ITSM Hub: PagerDuty has built a powerful cloud-based IT service management platform that is integrated with more than 100 other partner IT tools. PagerDuty enables IT and other teams to pro-actively manage incident alerts and IT support. One lesson from the best practices of Spiceworks, Mashape and PagerDuty—Tech startups that innovate by creatively combining incumbent vendor integrations with innovative community business models are teaching the industry that it’s not only about platform power…it’s about ‘platformula’ power. In the XaaS economy, consultants, agencies and professional services providers are embracing subscription & pay-for-performance business models with their own clients—and increasingly placing cloud and SaaS technology platforms at the core of their services practice. Smart startups should see this as a powerful Partner @ the Core mechanism to help them scale their business. My best practices role model in this approach? How about Hubspot, the new kings of inbound marketing. Hubspot has built a partner network of more than 2000 marketing agency partners in more than 65 countries. And while Hubspot’s platform is all about automating the end-to-end inbound marketing process, its partner program creatively incorporates specialized high touch training and coaching to help its partner agencies build a successful client practice. Look for this flavor of Partner @ the Core mindset to explode in the growth hacking tools segment—e.g. here’s Qualaroo’s flavor of the practice platform partner approach applied to conversion rate optimization agencies and service providers. Enterprise digital transformation is “inside/out” innovation that sees internal IT functionality as something consumable by external partners. Given this trend, XaaS startups should see their enterprise customers as current & future Partner @ the Core channels. When Amazon productized its internal commerce platform and infrastructure and began exposing them as Amazon Web Services, they established a best practice in enterprise digital transformation. This inside/out innovation pattern is extremely relevant to XaaS startups—enabling them to turn their enterprise customers into partners. Here’s an example. In 2015, omnichannel commerce & campaign readiness is at the top of the enterprise digital transformation agenda for global brands—both B2C and B2B. Leading brands need the ability to unify and manage brand content—both agency-built rich media and user-generated—in order to consistently and intelligently optimize brand experiences across commerce channels, devices and geographies. Enterprise digital transformation is not just about technology. It’s about organizational re-invention. 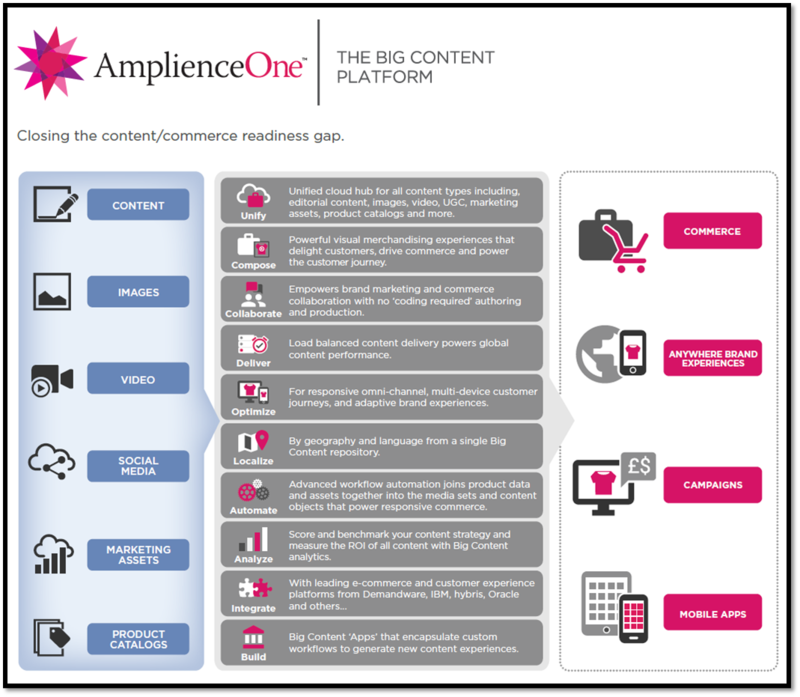 Eliminating fragmentation and streamlining team processes turns enterprise customers into partners for innovative XaaS startups like Amplience, the developers of the AmplienceOne ‘big content’ platform. Seeing their e-commerce and brand retail customers as partners, XaaS innovators like Amplience call this the ‘new retail’ and have built their ‘big content’ platform, AmplienceOne as a unified collaboration hub and next generation ‘content lake’—enabling brand marketing and online retail teams to manage the end-to-end process of delivering omnichannel commerce experiences from a single metadata-driven content repository. 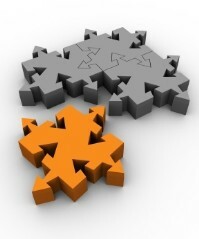 This is a game changer relative to legacy content silos and siloed processes. 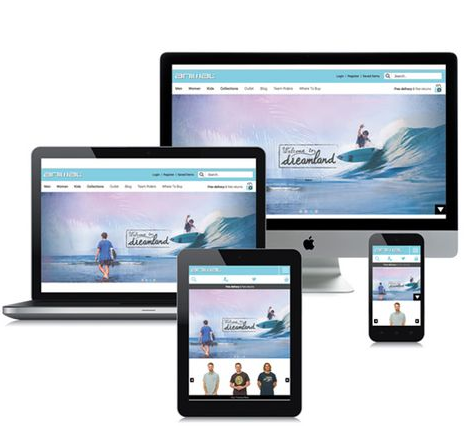 Omnichannel commerce and unified content experience delivery is just one beachhead for startups seeking to capitalize on enterprise digital transformation as part of their XaaS distribution strategy. For example, as high profile cyber-attacks occur on leading brands, new breed security-as-a-service startups with innovative approaches to data center protection will benefit from a Partner @ the Core mindset. Over multiple categories and successive generations of tech innovation, Partner @ the Core mindset has driven the growth of some of the biggest brands in tech during their startup phase. These startups capitalized on incumbent vendor monocultures to evolve into superpowers. Through their best practices they inherited the success DNA of their alpha partners. And in today’s cloud first, mobile first, API first world—an age of ‘anybody as a partner’—this Upstream 2.0 approach can help your startup win big in the XaaS economy. Joseph Bentzel is the founder and senior consultant at Platformula1. He is the author of the book “Asymmetric Marketing: Tossing the ‘Chasm’ in the Age of the Software Superpowers”, available on Amazon.com. He can be contacted by email at joe@platformulagroup.com and is on Twitter @Platformula1.